While researching the latest in online form best practices and user research, I stumbled across a blog post about making forms accessible for deaf and hard of hearing users. I’m very familiar with how to make forms accessible for screen readers, but how in the world could a form not be audio accessible? 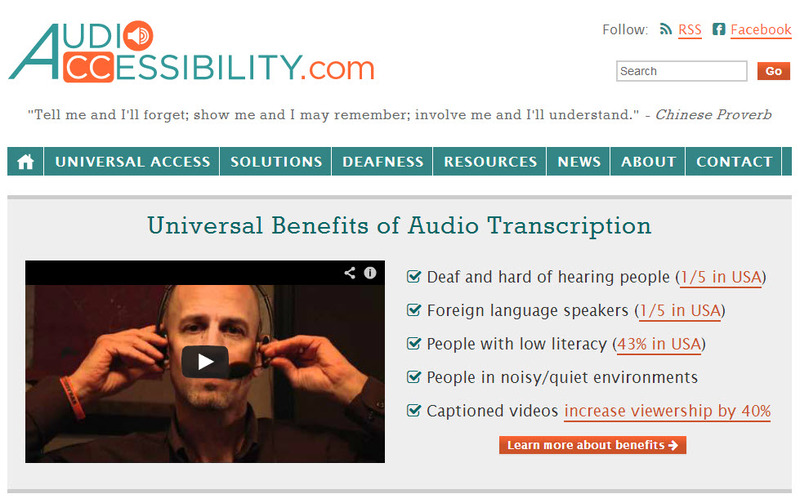 Intrigued, I dug deeper and discovered a fantastic resource called Audio-Accessibility.com. Audio Accessibility is run by Svetlana Kouznetsova, a Web designer and advocate for the deaf and hard of hearing community. In addition to the wealth of information, resources, and stats Svetlana provides on her site, one of the most eye-opening insights was the research she found about video viewership. 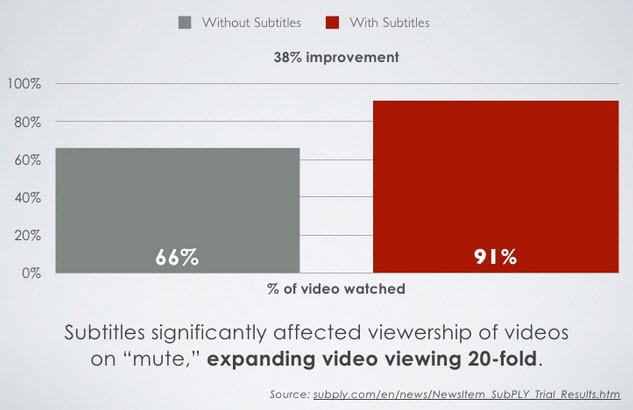 More people watch videos longer when the video is captioned. Captioning has universal benefits for all types of audiences. When users are at work and don’t want to disturb others (or be overheard). When the speaker in the video is difficult to understand or is speaking in another language. When users are in noisy environments (e.g., coffeeshops). Captioning also boosts literacy and promotes learning among children. And hey, it even helps SEO because the captions are stored in a text file. I strongly encourage you to watch (and read) Why Caption Your Video. Jay Wayant makes a very compelling case for captioning. 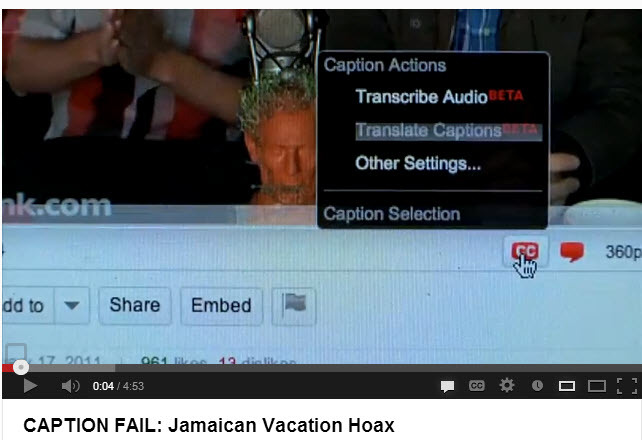 Be wary of automated captioning services, however… as hilariously demonstrated by a video series called Caption Fail.